Kuala Lumpur, Malaysia – for one night only! When planning this trip, we had to be very strategic with our travel plans to get between each city and country as there were limited flights and times to the smaller cities. 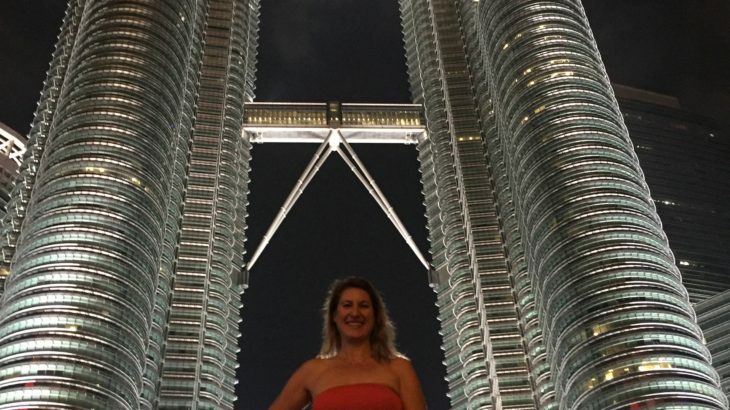 We decided to push ourselves and spend one night in downtown Kuala Lumpur (KL) and go see the Petronas Towers and have one nice dinner and drinks in town. Otherwise, it would have just been an overnight at the airport and that’s no fun. Milena and I were in KL back in 2008 when we went to Malaysia for both a break from our round the world traveling and to celebrate Thanksgiving. Only difference was in 2008, we were both on a tight budget traveling for a year and now we would be able to spend a little more money and enjoy. We were only going to be in town for 15 hours (and it takes 1 hour to get from the airport to town). So we were down to just a few hours to explore that night. 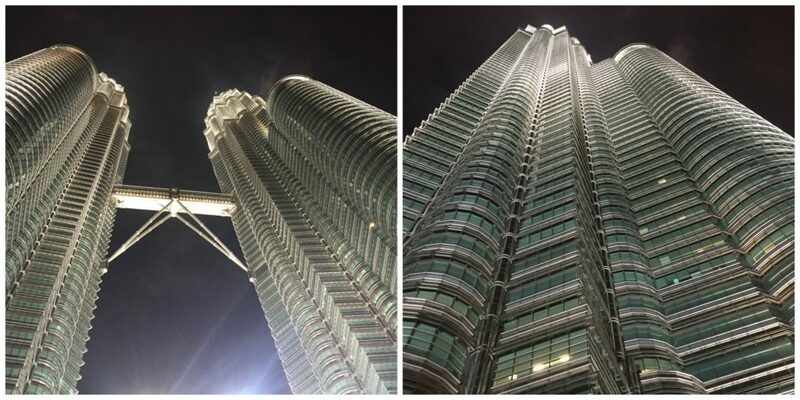 The goal was stay in a nicer hotel (with a gym for me) and go out to a nice restaurant for dinner with a view of the Petronas Towers. When we arrived in KL, it was pouring rain with lighting and thunder. We also heard from our taxi driver that most things in town were closed for the holiday. It was January 2nd, but looks like things are all closed for 2 days after the New Year celebration. I booked the Hilton Double Tree downtown with point (bonus from all my work trips) as this was right where we wanted to be and walking distance to the Petronas towers. We didn’t want to deal with the monorail or such in such a short amount of time. The Doubletree was very exciting for Milena as she remember the hotel gives out chocolate chip cookies at check in and she was talking about this for a couple days beforehand…I just hope they do this in all locations. Lucky for us…they did and we were able to get a couple extra cookies due to our excitement and being there all the way from the USA. Once we got to our room, I was able to go to the gym for a good workout and Milena got a nap so we were both happy. While in the gym, I had a direct view of the Petronas Towers from the gym and I got to watch it rain non-stop. When we were finally off for dinner, we walked out the hotel and I looked up at the building next door. 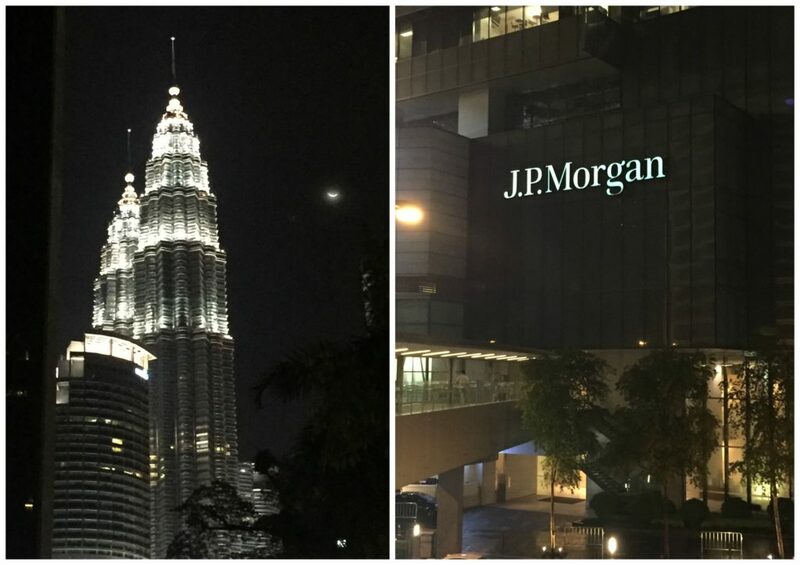 Ends up we were staying right next to J.P. Morgan in Kuala Lumpur. What’s the chance I would be staying right next door to my own company half way around the world? I had to take a picture and feel thankful I had the day off and didn’t have to go into work. What are the chances of staying next to my company’s building in Malaysia? As we walked to the place we choose for dinner, we found it was closed for the holiday (yet when we checked online, and it said it was open). Guess things aren’t updated real time like at home. We spoke to the building guards and they told us it was closed. We then were going to go to our next location on our list and the guards said that was closed too. So we decided to walk towards to Petronas Towers and look for other dinner options. When we tried the 3rd place that was recommended by one of my friends, we found it to be closed too. So we finally settled on eating at the high end mall by the towers as there are so many malls with good restaurants in town. Not exactly our plan, but it was now 9 pm and when we selected our restaurant, we found out they just closed for the night and we were bummed. The host said if we were quick, they would seat us and we were in. 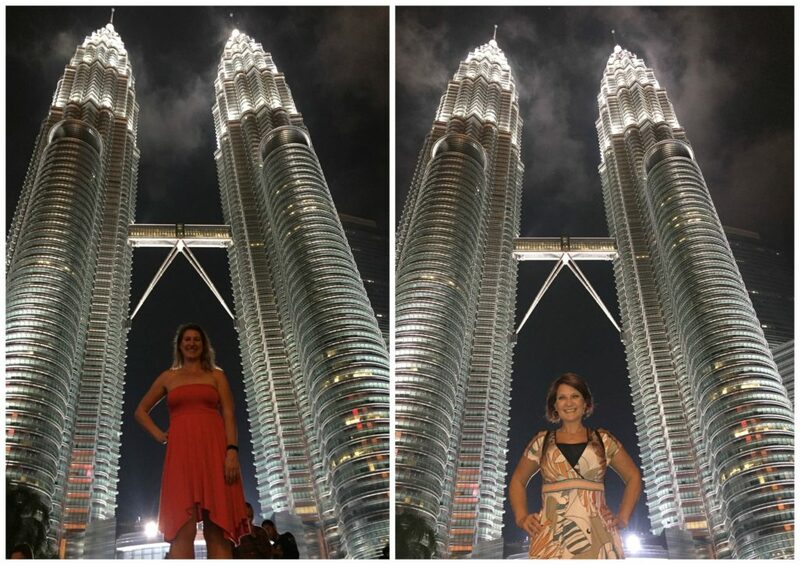 After dinner, we were off to see the Petronas Towers all lit up and it was worth all the effort. The towers were so beautiful at night and I loved all the angles of the building. The Petronas Towers used to be the tallest building in the world and soars to a height of 452 meters (1,483 feet). The 88-storey twin structure is Kuala Lumpur’s crown jewel. In 2010, the Buri Khalifa in Dubai became the world’s tallest building and stands at 830 meters (2,722 feet) tall and has 163 floors. I was in Dubai in 2007 and this was currently under construction so maybe one day I’ll make it back there. We walked further away for some photos and when I took this one of Milena, it became a popular spot as others followed our lead and started using our same spot for photos. Our flight was at 7:30am, so when we got into bed, we realized we had a long travel day ahead. I think we were able to get 5 hours of sleep (which is about what I get on a normal work night), but Milena sleeps much more and she was a trooper with the little sleep. 11:00 am – left airport and took hour long taxi ride to port town of Sempora. 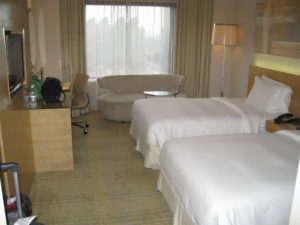 4:00 pm – Finally in our room at the resort and we were exhausted but excited to be there. The island looked amazing and we knew we would explore more when we were more rested. Tomorrow will be the first full day of scuba diving! Malaysia (2008, 2014, 2016). permalink.